Closeout Item. 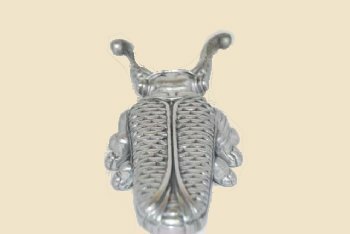 This is a metal boot jack shaped like a Bug. A great conversation piece as well as useful for getting those boots off. This is a closeout item so you Save Big." 22 "MacBucks" when you purchase!